Zorin OS comes in a beautifully packaged ~1.4 GB ISO file for both the 32 and 64 bit architectures. I, of course, am using a 32-bit processor (not for long though ohboyohboyohboy) so I got the corresponding image. The live environment booted in about 2 minutes with a rather unprofessional looking logo flashing in the middle of the screen. I wasted no time and installed the system onto my battered HDD. 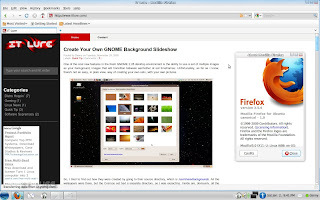 The process is identical to Ubuntu's, except the feature slideshow part, which is understandable, given the fact that Zorin OS looks quite different from Karmic. As I began to wander through the menus and open all kinds of folders, I couldn't miss the fact that Zorin OS borrows quite a few things from its proprietary distant cousins. 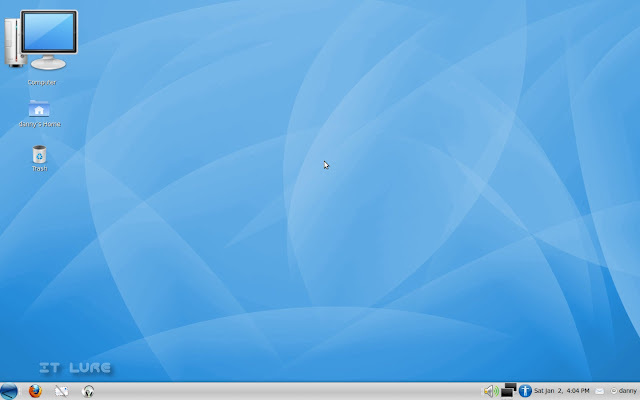 The thick bar that occupies the bottom part of the screen was made to look like Windows 7's and not only does it look like it, but it also shares some of its functionality. By default, there are three launchers in there: Firefox, Evolution and Rhythmbox. When opening Firefox, the icon gets a rectangle around it so you know that the application is open. If you want to open another instance, you have to right click the icon and select Launch Application. When you have more than one open, the number of instances will be shown next to the icon and you simply have to hover the pointer over the icon, and select the window you want from the pop-up. Even the "Start menu" looks like Windows, with the user avatar up top and elements like the search bar and "recent items" reminding me of Vista or 7. But the crisp shades of blue and the elegant icon theme departs Zorin from the Windows land and brings it closer to Mac OSX. 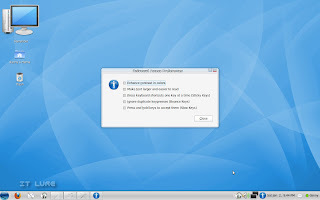 I really used to hate when Linux distros tried to steal the looks and/or functionality of other OSes, but, at the end of the day, many people that come from a life with Windows, need at least some familiarity. I am the complete opposite and I will always choose something that's 180 degrees from anything I know. But hey, for me, computers and software are more than just tools. Aaaanyway, the idea is that I won't try to judge Zorin for these aspects. 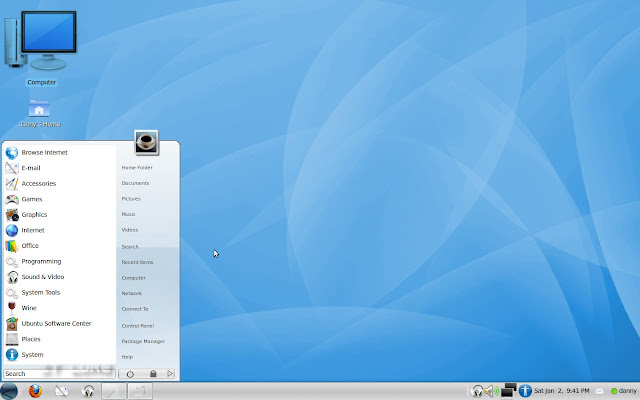 The desktop provides a pleasant look with the calm blue wallpaper and the ABSOLUTELY HUGE "Computer" icon sitting on top of the Home folder and the Trash. Unfortunately there was no sign of a desktop switcher. I mean, I understand copying features, but why remove perfectly good, authentic Linux ones? Oh well. You can always add the icon yourself, but it should've been there! A really good thing about Zorin is that it comes fully updated with whatever Ubuntu 9.10 pushed since its launch in October, so you won't waste any time looking at a loading bar. Well, at least you would've had some more biscuittea left! Going back to the looks of Zorin, the developers included a great selection of wallpapers and added some nice transparencies here and there. Oh, before I leave this section, there is a nasty glitch happening when dragging a window between the two workspaces. GUI chaos I tell you, GUI chaos! 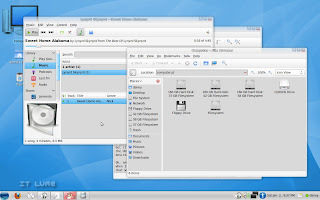 But what does Zorin bring new compared to a regular Ubuntu install, besides the look? Well, quite a few things, beginning with out of the box MP3 support, pre-installed Flash, a working Java platform and ending with a couple of useful applications to make your Linux easier to operate. 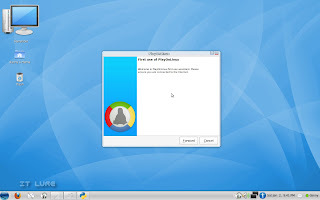 Wine and PlayOnLinux will help you run the Windows software you can't live without and UbuntuTweak lets you customize Zorin in almost any way you want. There is also "Back in Time", a powerful, easy to use backup application that I highly recommend using. Backup should really become like breathing to us people living inside a computer more and more each day. Cheese is also available by default and it was a great way to see if Zorin can pick up my Alcatel OT-800's camera as a webcam, which it did, happily. :) The HP Deskjet 3940 printer was also detected and is working fine and dandy. Kino lets you edit your movies and Firefox is used to browse the ever-growing Internets. 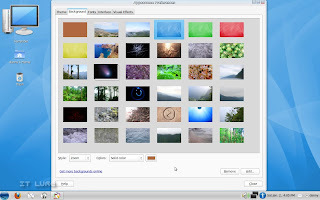 :) Oh, the developers made available more than one versions of Zorin OS, for different needs: a Multimedia one which includes 40+ sound and video apps, a Gaming one with A LOT of open source games and an Educational one with, you guessed, edu software! Thumbs up for that. Thumbs down for the fact that you actually have to pay for them. I would've liked to see Pidgin instead of Empathy in the Internet category, but it seems Zorin followed Ubuntu in that respect. Oh well. There's always the Ubuntu Software Center waiting for me to install whatever my heart desires. Oh, and talking about Empathy I noticed there are no notifications appearing when I receive IMs. I really found those useful, as I didn't have to open the chat window for every unimportant message. The weird part is that Rhythmbox or the volume control are "blessed" with the nifty pop-ups. For people with disabilities, Zorin OS 2.0 comes with the accesibility applet starting at boot, so it's easy to turn on various helping features. 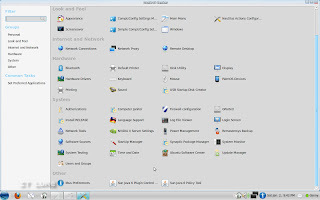 The Control Center offers a great place to change various aspects of the system, including turning on the firewall, creating a remaster of a modified Live CD, or mess with the boot process (switching resolutions, using a different usplash theme, etc.). OpenOffice couldn't have been left out, so if you were worried, stop being worried, it's there. Relax. Jeez. Zorin went so far with the customization as they also created their own sound theme. I like small details like that. 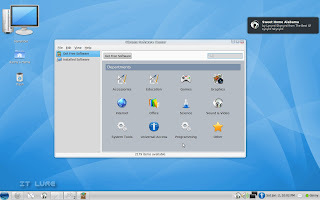 Well, what can I say... Zorin OS 2.0 is a good distribution, as Frankesteinish as it is. It certainly won't let you down. You get the solid Ubuntu base complete with out of the box extended multimedia functionality and some smashing good looks. As for me, I will still be out there hopping, looking for other ambitious Linux projects and sharing my views with THE WHOLE WORLD. Cause yes, the whole world reads IT Lure. No kidding. Just take my word for it. Ok, bye. 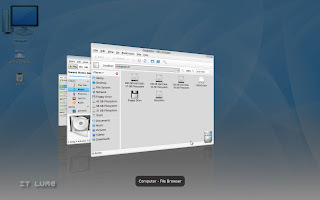 Download Zorin OS 2.0 for 32-bit and 64-bit.